Throughout 2013 the dimensions and reach of international law have continued to change at a fast pace, and Oxford University Press have been honoured to play a role in some of its scholarly highlights. Like the discipline, this has been an exciting year for our team at OUP. We’ve taken a step back to review all that has unfolded this year below. The Chinese Journal of Comparative Law published its first issue in March, which is completely free for a limited time. The journal publishes content with close relevance to the development of the Chinese legal system and the wider developing world. If you haven’t already taken it, test out your knowledge on our Public International Law Quiz which published online in March. 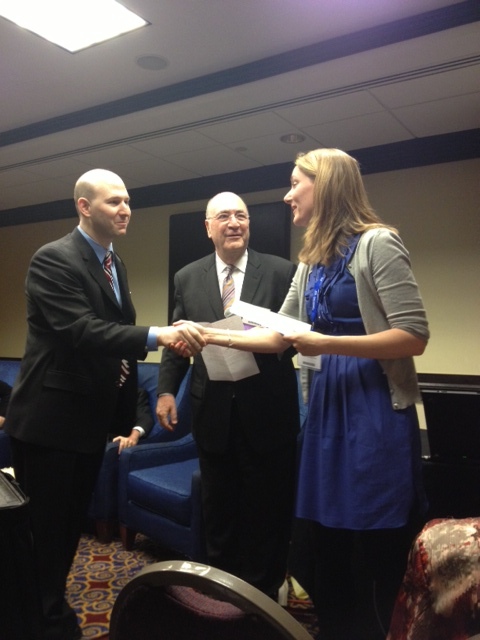 Oxford University Press Law editor Merel Alstein (right) presented the Francis Deák Prize to Robert Sloane (left) at the American Society of International Law Annual Meeting. Certificate of Merit for high technical craftsmanship and utility to practicing lawyers and scholars: The Oxford Guide to Treaties, edited by Duncan B. Hollis. Certificate of Merit in a specialized area of international law: Trade in Goods (2d ed.) by Petros Mavroidis. The Francis Lieber Prize for Best Book on Humanitarian Law was awarded to Sandesh Sivakumaran for The Law of Non-International Armed Conflict. The Prize is awarded annually by ASIL’s Lieber Society on the Law of Armed Conflict to the authors of publications which the judges consider to be outstanding in the field of law and armed conflict. Bruno Simma was awarded The Manley O. Hudson Medal, given to a distinguished person of American or other nationality for outstanding contributions to scholarship and achievement in international law. Dinah Shelton was awarded The Goler T. Butcher Medal, given to a distinguished person for outstanding contributions to the development or effective realization of international human rights. This busy month was topped by the release of the much-anticipated 7th edition of Martin Dixon’s Textbook on International Law, offering students a concise and focused introduction to international law. In May it was the turn of ASIL’s European counterpart to host international law experts, at the 2013 European Society of International Law Research Forum. We were thrilled to see many of our authors involved, including Laurence Boisson de Chazournes, Elies van Sliedregt, and Andre Nollkaemper speaking at the Opening Ceremony. Oxford Public International Law launched online combining Oxford Reports on International Law and the Max Planck Encyclopedia of Public International Law to create a comprehensive, single location providing integrated access across our international law services. 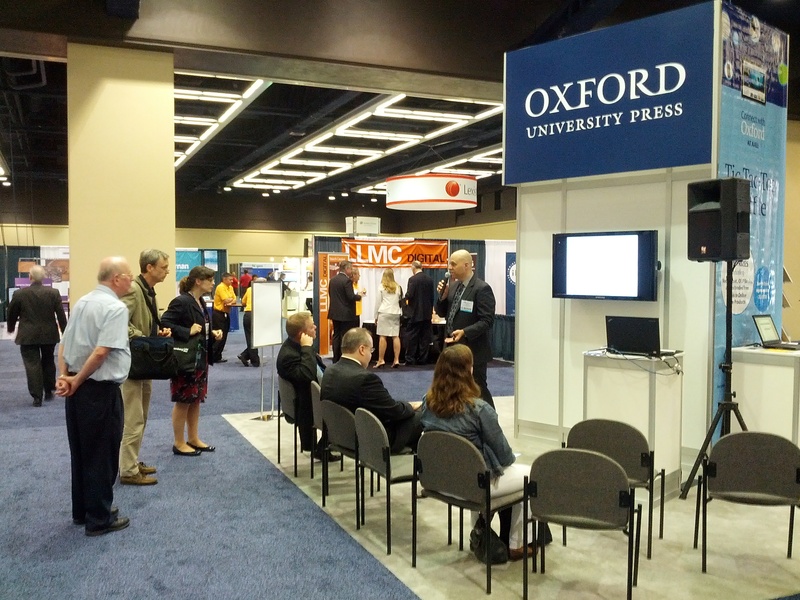 The American Association of Law Libraries 106th Annual Meeting & Conference took place in Seattle this year, where we celebrated the development of the Oxford Law Citator with a wine reception and demo event. Oxford University Press at the American Association of Law Libraries Meeting. September was another busy month for us, not least because we excitedly launched our Oxford International Law Twitter. Follow us at @OUPIntLaw and tell us what you think! We created the first of our debate maps, which review scholarly arguments and keep track of which issues have been covered and who has said what. John Louth, Editor-in-Chief of Academic Law at OUP, compiled an index that maps scholarly commentary on the legal arguments regarding the public international law aspects of the use of force against Syria published in English language legal blogs and newspapers. Also in September, the first issue of London Review of International Law — edited by Matt Craven, Catriona Drew, Stephen Humphreys, Andrew Lang, and Susan Marks — published, which is still completely free for a limited time. Finally, the Oxford University International Law seminars, sponsored by OUP, kicked off for another academic year. We attended two big conferences this month: the International Bar Association conference and the International Law Weekend. Many OUP authors were in attendance at ILW, including Duncan B. Hollis, Sean D. Murphy, Ruti Teitel, and Curtis A. Bradley. 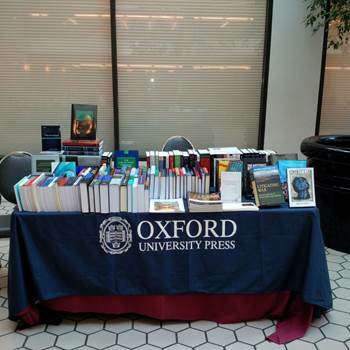 Oxford University Press at International Law Weekend 2013. In October, we launched several of our key titles including the republication of An International Bill of the Rights of Man, and new editions of The International Covenant on Civil and Political Rights, and The Law of State Immunity. We also published The Oxford Handbook of International Human Rights Law, edited by international law expert Dinah Shelton. With contributions from forty leading experts, The Handbook provides crucial insights into the field of international human rights law. The second of our debate map went live: “High-profile prosecutions at the International Criminal Court: heads of state, immunities, and arrests,” created by Merel Alstein, Commissioning Editor in Law at OUP, giving an index to scholarly commentary around the International Criminal Courts. At the end of November, the London Review of International Law celebrated the new journal’s launch at the London School of Economics. Gerry Simpson spoke about ‘the Sentimental Life of International Law,’ and a panel discussion focussing on ‘The Lives of International Law’ took place at LSE, including such speakers as Sundhya Pahuja and Aeyal Gross. There’s also still time to read the journal articles available for free this month in the Human Rights Day collection. Finally, the Geneva Academy of International Humanitarian Law and Human Rights launched its first War Report, edited by Stuart Casey-Maslen, the first in a new series of annual reports of armed conflicts around the world. An interactive panel debate on the Report and its implications took place with an array of international law experts and commentators. We’ve had a very full year. Many thanks to our authors, editors, and — especially — readers for making it possible! We’re looking forward to 2014 and the new international law publishing it will bring. This blog post was compiled by Lizzie Shannon-Little, Community Manager at Oxford University Press.